Today's guest is C.K. Volnek, a talented writer of middle-grade historical fiction, which she likes to combine with fantasy elements. It makes for an entertaining and fascinating mix. Hi Anne, Thanks for inviting me here today. I’m so honored to be among the wonderful guests you’ve showcased here. What made you decide to write for younger readers instead of Adults? And will you ever write an Adult book? I was an avid reader when I was a kid, jumping from one adventure to another, seeing the world and enjoying the multitude of stories through the eyes of my new friends, the main characters. To a child, the world is new and exciting and alive. There are secrets just waiting to be revealed around every corner and mysteries ready to be solved. I love the younger mind…they’re so open to what is happening around them rather than being totally focused on what is happening to them. And so I choose to write to them, to give them stories to entertain and amuse, as well as inspire, encourage and motivate them to grab the world and make it a better place. If we can arouse the desires in the youth of today, no telling where they will go when they become an adult. Your books, Ghost Dog of Roanoke Island (about Roanoke Island) and The Secret of the Stones (about Merlin) are both Historical fiction. Is this going to be something you will continue to do? It’s funny you’ve picked up on my tendency to write historical fiction. I HATED history in school. LOL. It was all I could do to memorize the dates and places, let alone try and figure out who all the players in history were. Besides, I never understood what history has to do with today. Why did I need to learn about something that happened in the past? What was it going to do for me today? As I’ve matured, I’ve come to realize history has EVERYTHING to do with what happens today. It’s all cause and effect. 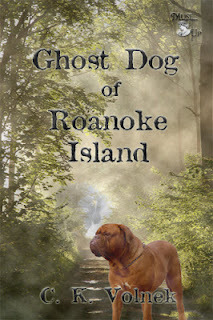 Just as in Ghost Dog of Roanoke Island, if the Lost Colony had arrived on Roanoke Island earlier in the spring, they might have been able to plant and store food instead of sending their ship back to England for more supplies. If the Spanish Armada had not sailed against England, John White might have been able to return directly to Roanoke Island with the much needed provisions, instead of arriving three years later to a deserted colony. I hope, that even though my story of Ghost Dog revolves around a fictional character and ghost, the historical facts shine through to inform and educate my reader as to the way these people lived, the injustices done and how certain prejudices could have been avoided. 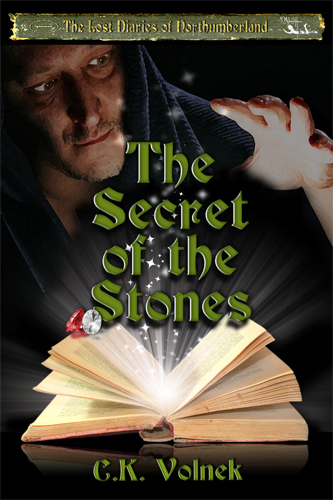 The Secret of the Stone is a bit of a different story. It’s based on the historical legend of Merlin and King Arthur. A much lighter historical flavor and one my reader can enjoy a laugh or two with. I looked up some of the facts in your book and they were all true. What kind of research did you do for your books? The history behind the Lost Colony of Roanoke Island is fascinating. My muse couldn’t get enough, trying to sort out and solve what happened to the missing colonists. As I dove into this mystery, I found myself getting deeper and deeper, and loving every minute of it…the vision of Sir Walter Raleigh, the failed first attempt of colonization by Ralph Lane, his disgraceful retaliation against the Native Americans after the disappearance of a silver cup, the arrival of the new colony and the birth of Virginia Dare, the first English maiden born in the New World. Fascinating jewels of history. I researched the people of this time and even found the list of the original colonists’ names. I included several of these characters in my book, though they are clearly speculative. Even the ghost dog was researched. 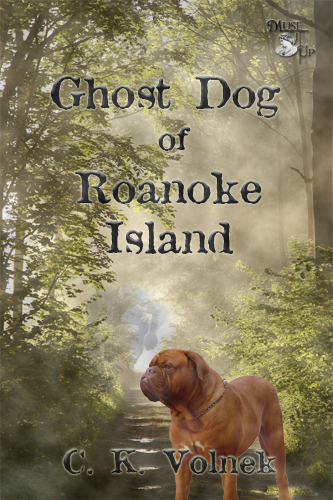 I discovered there was evidence of an English Mastiff coming over on the Mayflower so I envisioned a dog such as this accompanying the first colony, therefore creating my character, Ghost Dog of Roanoke Island. The Secret of the Stones was a little more difficult to research. Merlin is all about legends. And there are a lot of legends surrounding Merlin. But it was so interesting to read through the different legends and see how they weave together. I pieced certain elements together, uniting all the pieces and my story was formed. And with my story, I create my own new legend…that Merlin still lives, held captive in the hidden castle and it’s up to Alex Ramsey to discover all the clues and save him in this series of fun and adventure. Is there an Author who inspired you? It’s hard for me to choose just one author who has inspired me. I try to glean something from every author I read. If I had to go back to my younger years, I would have to say it was after reading Black Beauty that I was inspired to be an author. I was determined to be the next Anna Sewell. I adore her vision to create such an eloquent story through the eyes of the grandest horse of all times. I can only hope that some child will enjoy my stories as much as I enjoyed hers. When not in Author mode - what do you and your family like to do for fun? I have so many things I like to do when I’m not writing. Family always comes first and I enjoy making a big dinner so we can all sit around and talk. I’m a crafter so I make jewelry, quilts, tole paint and crochet. I also love the outdoors and can be found hiking or walking my four Papillon pups around town. And yes, I did say four. They’re like potato chips, I couldn’t stop at one. Thanks again, Anne, for having me on your blog today. It’s been a joy for me to meet so many new friends. If anyone would like to contact me, they can write me at ckvolnek (at) yahoo (dot) com. C.K. Volnek's books are available through Amazon, through MuseItUp Publishing, and at other online retailers. Her book trailers are on YouTube. You can learn more about C.K. Volnek at her website and blog. Oh, I do love a nice theme! Last week we enjoyed a discussion of dinosaurs and megafauna in middle-grade lit. 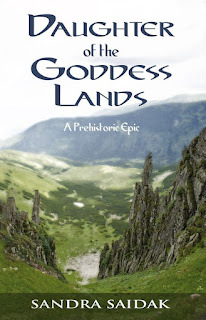 This week we are fortunate to have Sandra Saidak, author of Daughter of the Goddess Lands and Shadow of the Horsemen, sharing secrets about how she writes prehistoric fiction. The genre of prehistoric fiction, as most of us think of it today, began in 1980 with the publication of Jean Auel’s The Clan of the Cave Bear. Before that, it was mainly a sub-genre of science fiction, involving time travel or the modern-day discovery of people (and usually dinosaurs) lost in time somewhere on earth. Legendary pioneers like Jules Verne and H.G. Wells contributed some of prehistoric fiction’s earliest pieces. In the nineteenth century, archeology was coming into its own as a science, and the acceptance of Darwin’s theory of evolution made it possible for people to view newly discovered fossils and artifacts in an entirely new light. We had ancestors unlike anything described in the bible! Who were they? How did they live? And perhaps most importantly, what could they tell us about ourselves? Most of the early writers incorporated the new discoveries into their fiction—a trend which continues to this day. 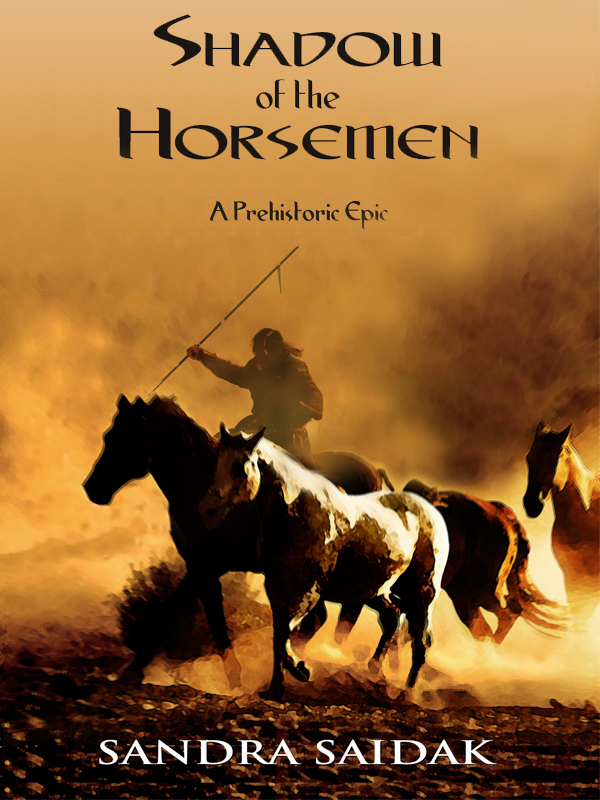 I love prehistoric fiction—both the writing and the reading of it. The farther back you go in time, the less is known—a perfect playground for the imagination. Artifacts abound, but for many of them, there is no consensus among the experts as to what they mean. This allows anyone with enough creativity to build an entire world from a few bones, tools, and burial sites. It also allows an author to do a lot of research in a few hours. If you want to write a novel set in Tudor England (and clearly, a lot of people do these days!) you’ll have to read hundreds of pages of legal documents and family histories, livened up by the sometimes juicier diaries, letters and broadsheets. Tudor England was an extremely well-recorded time in our history, and if you want to do justice to the reality of it in your fiction, you need to read it all. Not so with prehistoric fiction. I sometimes find the most useful research to be just staring at a map of the world for a few hours. Inevitably, I’ll fixate on a section and ask myself: “How many transatlantic crossings could have happened before Columbus? Who crossed? Why and how?” or “If there was no land bridge from Asia to Australia when the first humans journeyed there, what could possibly have made them risk crossing open water if they didn’t even know there was land on the other side?” Or, even more tantalizing: “Did they somehow know there was land? How?” And I’ve asked the same about Japan. Then, once the story has me firmly in its grip, I go to my bookshelf or the internet, and look for what information is there. Sometimes it’s not much more than maps of how those places looked at the times I’m interested. Sometimes it’s conflicting theories, or a news story about a strange artifact that shouldn’t be there. And for great prehistoric fiction, sometimes that’s all it takes. For more information about Sandra Saidak, visit her website. The story begins when fourteen-year-old Meg Sealy, her friend Amanda, and her older cousin Jaiden stumble upon a secret valley where time stands still. The three friends are thrust into a dangerous world of magic, time travel, and creatures they believed extinct. They learn that it is their destiny to use their new magic skills to join the fight to save the valley from an evil break-away order, bent on exploitation. Meg discovers she is to become the next leader of the magic order that protects the valley and its creatures. But undercover villains in the valley try to stop her from doing so. Many life-threatening events occur as she and her friends fight to save the animals from extinction. I am often asked how dinosaurs and real animals that existed over 40,000 years ago became the basis for a fantasy novel. I came across the megafauna when I was researching animals for another book. They fascinated me, as I had never learnt about them at school. I asked a group of children what they knew about these creatures and discovered that they had no knowledge of them. Their interest in hearing about the animals, fueled my desire to write the story, and so I began in earnest. Some of the questions the children asked during our discussion shaped the story. For instance, ‘Did they live with the dinosaurs?’ and from a very cute 4 year-old, ‘Were there dragons too?’ So I decided to include the three groups, megafauna, dinosaurs, and mythical animals. It is a strange mix and it was interesting coming up with a way to make the valley’s creatures credible. (Well, as credible as fantasy has to be). Fantasy has always been my first choice to read so it was natural for me to write in that genre. I wanted the book to be entertaining as well educational. So I trawled the internet and libraries for accurate information. I found what I needed in books, and Museums and University websites. I have recorded the sources on the inside page of the book and on the cards. So any reader can do follow-up research, or any librarian or teacher can confirm the information. I realised as I wrote the story, that even though I described the animals in as much details as I could, the readers would still have no idea what these magnificent creatures looked like. To include colour drawings in the book would make the printing too costly, so I decided the create collector cards. I commissioned an artist, Aaron Pocock, to draw the animals from images I found on museum websites and in a book, The Magafauna of Australia, by Danielle Clode. 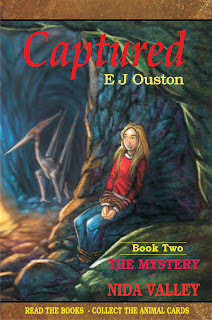 Learn more about Elaine Ouston and the novels in this series by visiting her website. The books in the Mystery of Nida Valley series Amazon and elsewhere online. In Australia, they can be ordered from your local bookstore through Dennis Jones and Associates. "Rhonda Zymler, will you please take your seat?" This sort of warning comes at sixth-grader Rhonda many times during my tween paranormal mystery novel, Ebenezer's Locker. Rhonda always seems to be teetering on the edge of trouble, and often lands squarely in it. As I've been preparing this book for publication, I've been thinking about the appeal of troublemaker characters. There is something appealing about troublemakers in fiction that is quite different from dealing with them in real life. As a teacher, I expect discipline, respect, and hard work from my students. But as an author, I am very happy to let my student-age characters disrupt the classroom and question authority. A classic example of lovable hellions in children's literature is Pippi Longstocking. In Astrid Lindgren's enchanting books, the main character is the ultimate iconoclast. She simply can't behave the way people expect her to. She's not mean-spirited, just free-thinking. 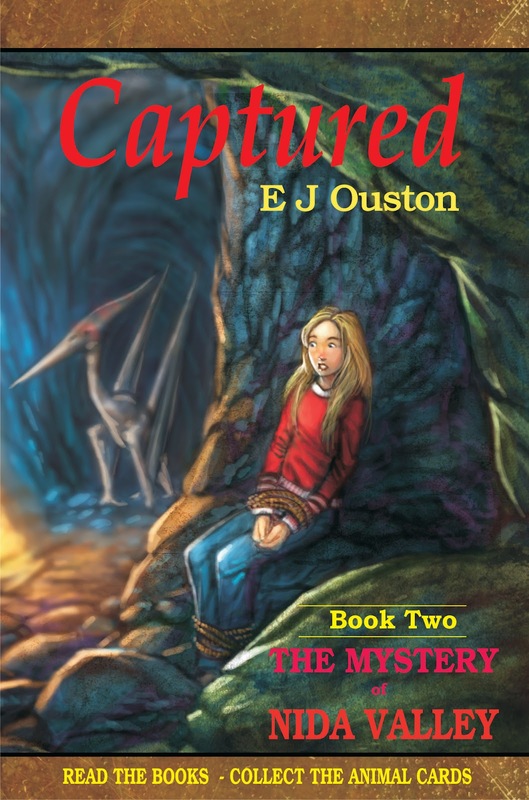 Adults in the story are appalled or baffled, but readers of all ages are completely charmed. And it's significant that Pippi Longstocking is a girl. Boys who misbehave (like Huck Finn) are considered normal, but even today, rambunctiously clever girls are an exceptional breed. Maybe that's why I made Rhonda Zymler into a troublemaker. I was a perfectly-behaved child, and I think part of me longed to be Pippi Longstocking. 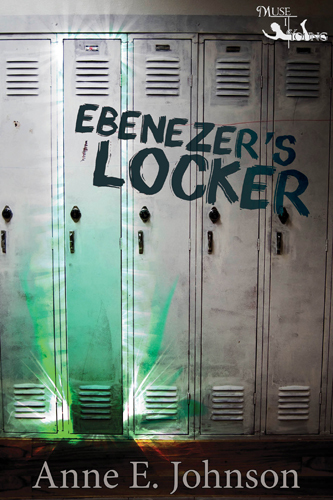 Purchase Ebenezer's Locker in all e-book formats at MuseItUp Publishing and Amazon. Look out! There are aliens in your town! 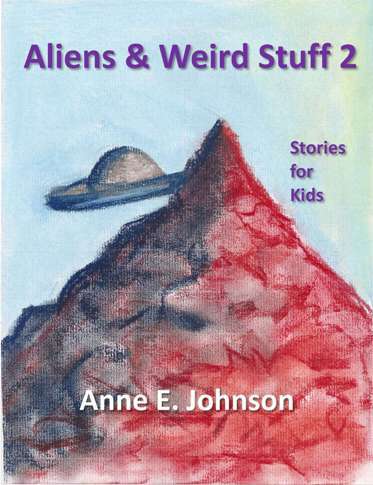 Or there will be, once you get the new Aliens & Weird Stuff 2, another trio of oddball stories I wrote for kids. - An alien lands on Earth in "The Crusty-Hearted Man," and he has a better weapon than a laser gun for melting an icy personality. - The mountain behind Lisa Winkles' house is red, and it's not for the reason anyone in her town thinks. Lisa discovers the secret of "Red Mountain". - A kid finds a "Gumwad" on the sidewalk. How weird can that be...? You can get it on Kindle here! Coming to Smashwords next week, for all you Nookers and PDF fans.